Kunsthandel Juffermans - Juffermans Fine Art, active since 1994, is specialized in modern and contemporary prints by artisits like Pablo Picasso, Kees van Dongen, Joan Miró, Henri Matisse, Marc Chagall, Damien Hirst, Sandro Chia, Francis Bacon, Karel Appel, Corneille, Constant. The graphic work of Kees van Dongen is the specialism of Juffermans Fine Art. 'Kees van Dongen - The Graphic Work', the catalogue raisonné of all of Van Dongen's lithographs, etchings, pochoirs, illustrated books and lithographic posters, is compiled by Juffermans Sr. and Jan Juffermans Jr. and published in 2002. Presented with a major exhibition in Museum De Kunsthal Rotterdam of the complete Van Dongen fine prints collection of Juffermans Fine Art. 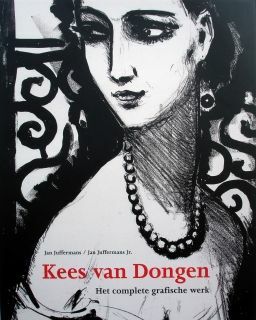 September 2010 the new edition of this catalogue 'Kees van Dongen - The Complete Graphic Work' was published.